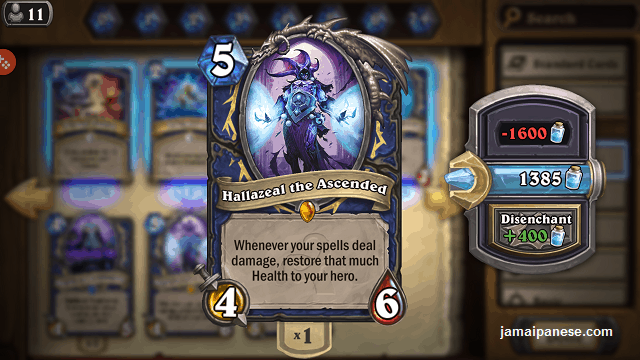 Exams are over and I can finally play the new hearthstone expansion Whispers of the old Gods! I saved up enough gold to buy 40 new packs. 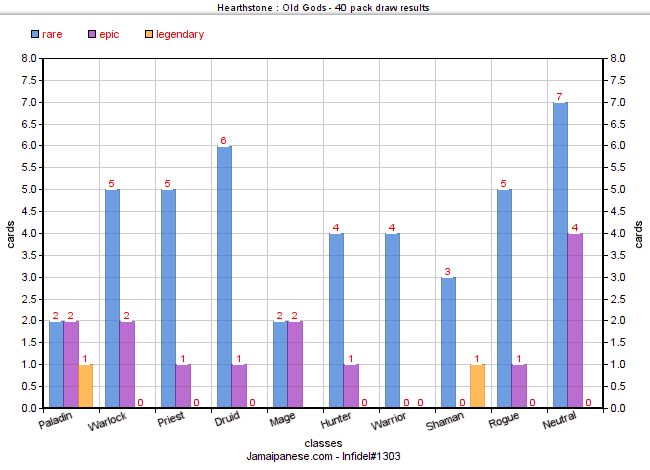 Check the results below including a chart and add me on Battle.net @ Infidel#1303.I’m not surprised that my first legendary in Whispers of the old gods was for my favourite class the Paladin. 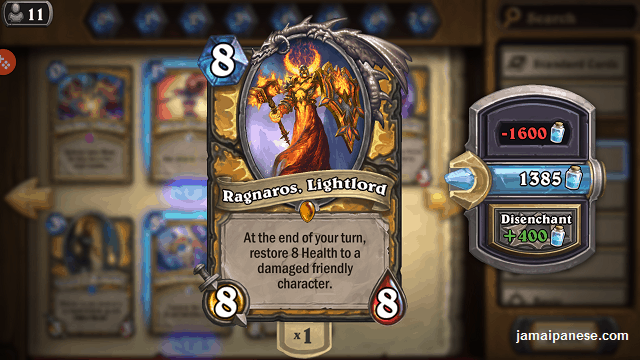 Now to figure out how to play these new cards in the standard format and continue to have fun with Hearthstone. Excited about Whispers of the Old Gods? 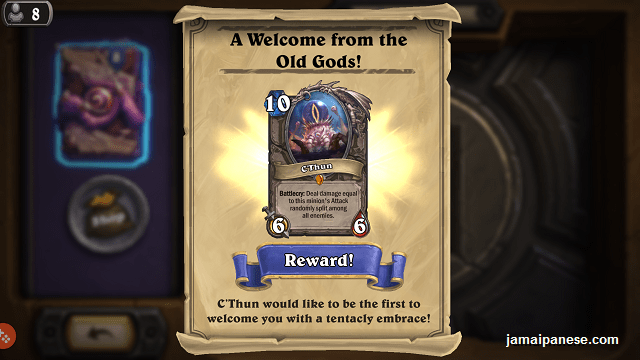 Beware of the C’Thun worshippers! 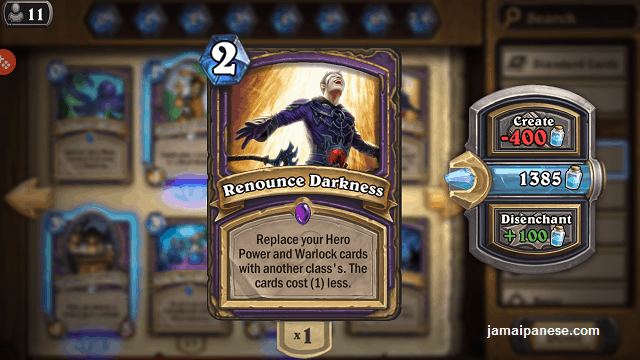 Leave a comment below or tweet me @Jamaipanese with your thoughts on the expansion, favourite cards, classes and strategies.